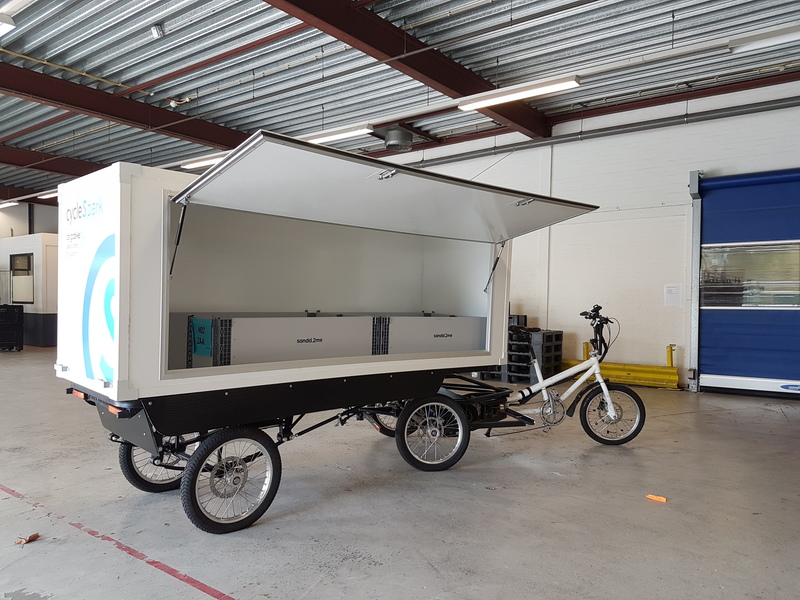 CycleSpark offers extra large e-cargo bike solutions to build clean and livable cities. 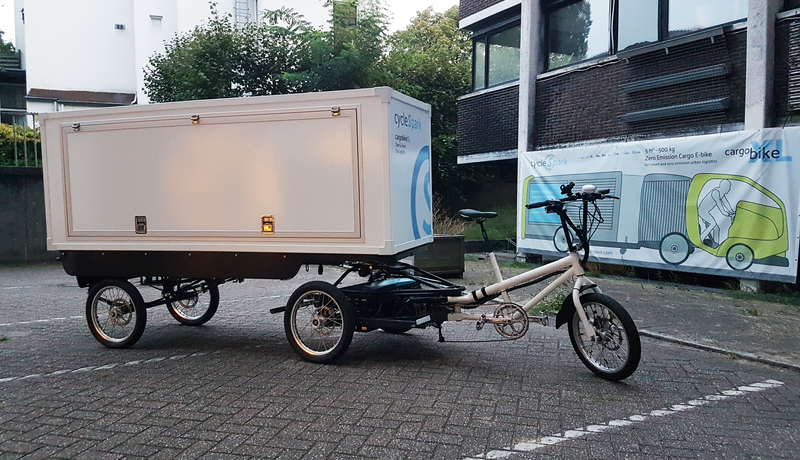 e-cargo bikes that can carry larger volumes and heavier payloads that are similar to a diesel van. We have more then 5 year experience in large cargo bikes. If you are searching for the best cargo bike for your application we can give you independent advice. We help you find the right vehicle with the right mix of speed, payload and volume to create a realistic business case. 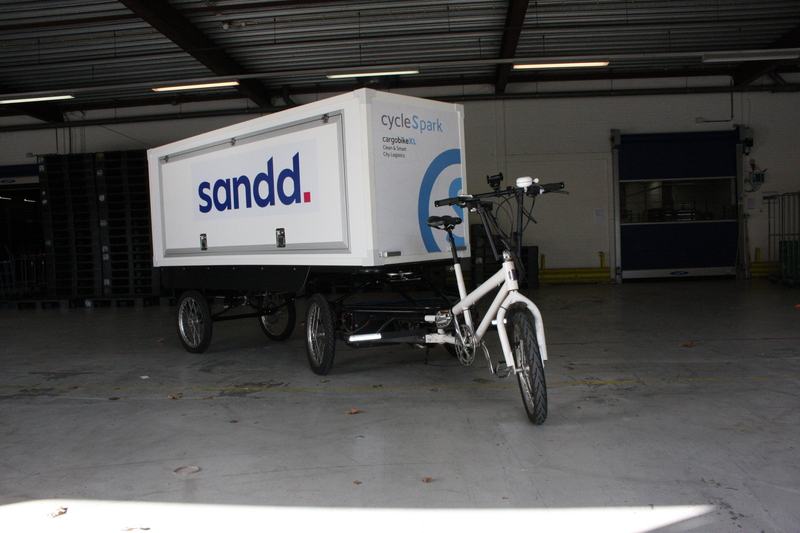 We use electrical assisted cycling technologies from different European and global partners. Containers in various sizes and insulation grades are possible. The cargo bikes can be customized and branded to your wishes. Our cargo bikes can be bought, leased or shared with or without maintenance. If you are interested do not hesitate to contact us for a more information or to make an appointment for a test ride.